It’s officially fall now. The weather is turning cooler, the leaves are starting to change, and the internet is flooded with recipes laced with pumpkin, apples, cinnamon, butternut squash, and so many other wonderful fall flavors. Cars are lining up around the block for the infamous Pumpkin Spice Latte. 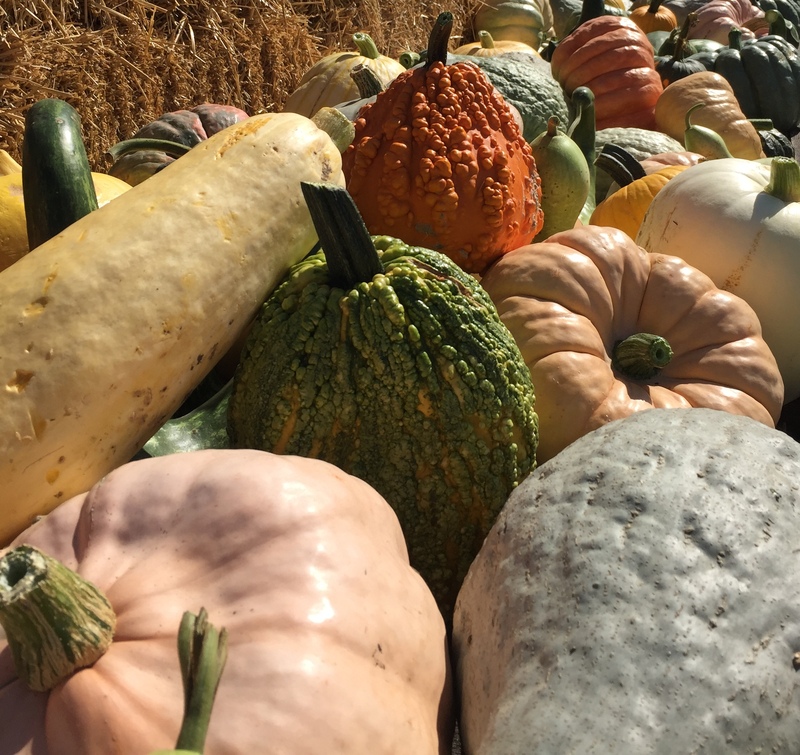 Personally, I am a pumpkin lover year-round, but I am not immune to the siren song of the fall season, luring me to find new and rediscover old ways to use pumpkin in recipes. I wanted to share some of my favorites pumpkin recipes with you today so you can also bask in the glory. 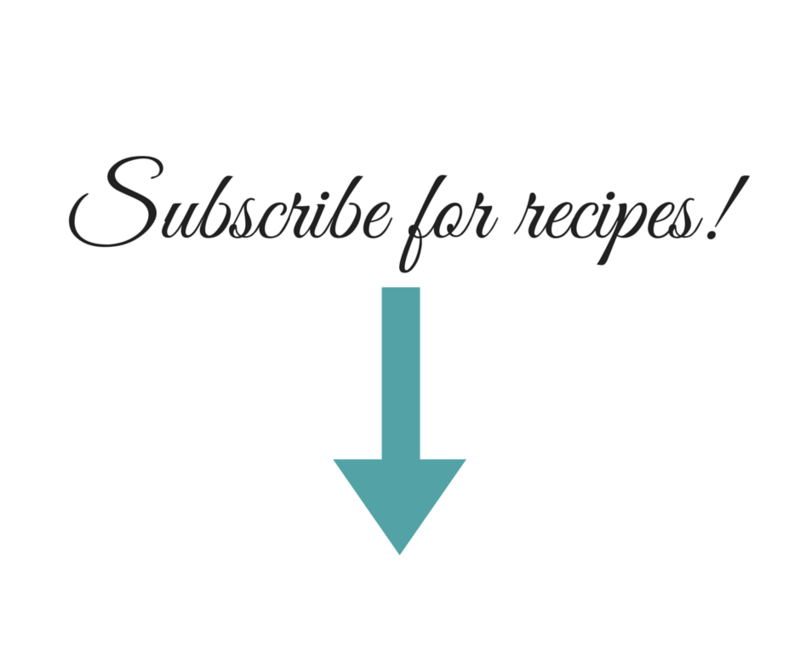 I have some new recipes I have been wanting to try that I’ll share too. Most of them are sweets, but one is a chili that I absolutely cannot wait to try! When I get around to making something on my wish list, I’ll let you know how it went! 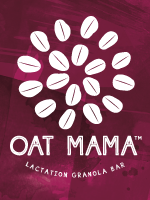 Pumpkin Spice Oatmeal Easy enough for a weekday! 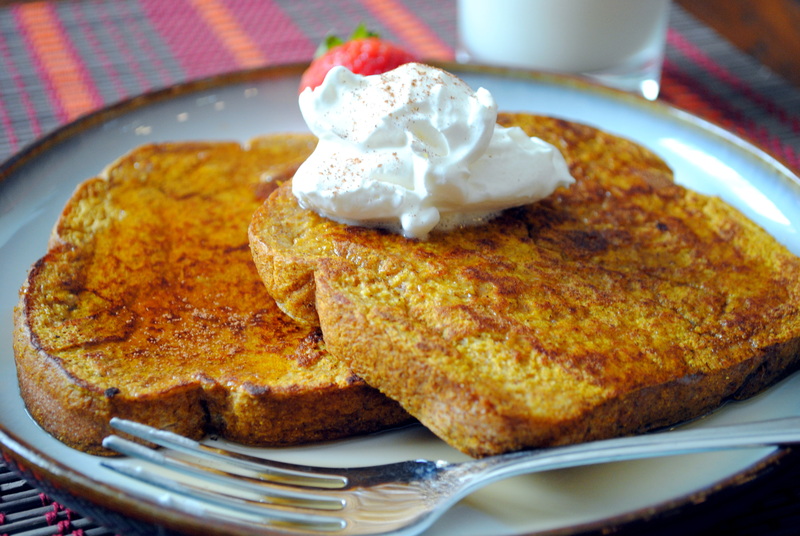 Pumpkin French Toast Warm up the griddle! 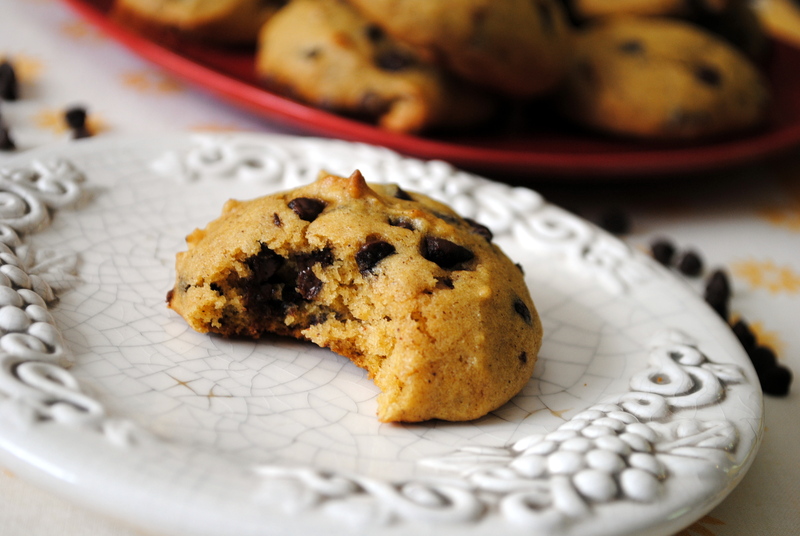 Pumpkin Chocolate Chip Cookies These = fall. Pumpkin Spice Krispies Make sure you let these set up for quite a while before cutting. Pumpkin Cinnamon Roll Pancakes These are soooo good, but I made them before I started blogging, so I have no personal pictures of them. It’s a good idea to have a helper when you make these. They’re kind of labor intensive, but so worth it! Pumpkin Chocolate Chip Brownies Just look how moist these look. Drool. Autumn Pumpkin Chili I can’t wait to try this savory application of pumpkin! Healthy Pumpkin Chocolate Chip Oat Bars Did I mention they’re healthy!? Pumpkin Smoothie I pinned this eons ago and still haven’t gotten around to making it. Has anyone tried it? Baked Pumpkin Oatmeal with Cinnamon Crumbles Yes, Bobby Flay. Don’t mind if I do. I’ll share a super easy pumpkin “recipe” with you before you go. 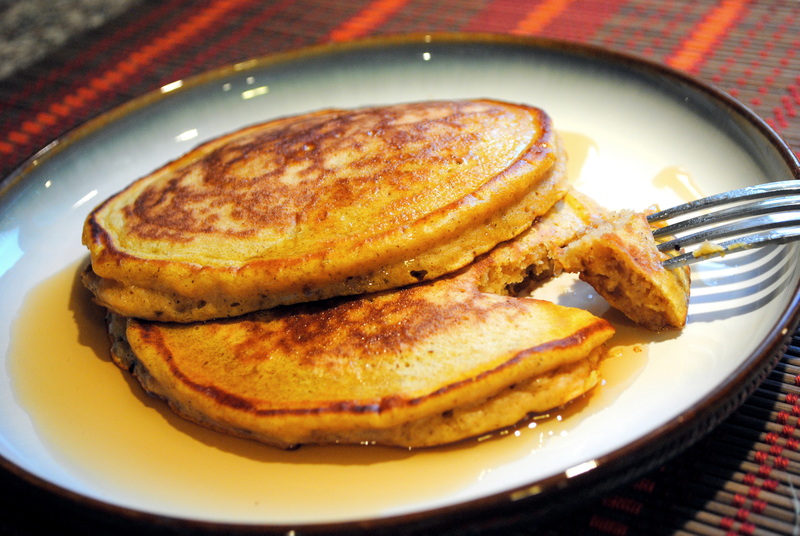 You take a can of pumpkin puree (not pumpkin pie mix) and mix it with a spice cake mix. Put it into a muffin pan and bake it. Viola! 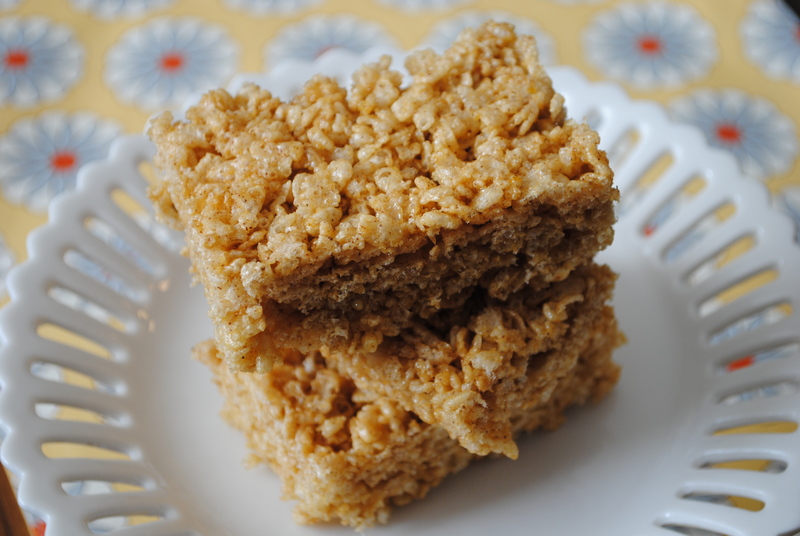 Super easy, moist, and delicious. You can hardly even call it a recipe. Throw some cream cheese icing on top if you want, or jazz it up with a streusel topping before baking. Delish!